Experience a new approach to gardening focused on what you enjoy. 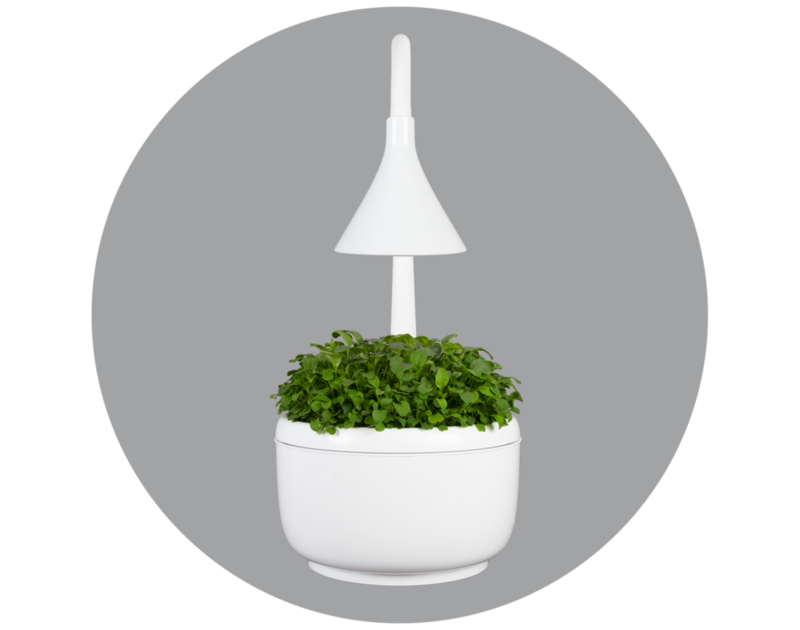 Cultivate Personal Produce™ with SproutsIO, an automated indoor growing system. With SproutsIO you’re always growing. Enjoy the benefits of year-round, continuous access to delicious fruits and vegetables cultivated to your taste. Develop flavors that delight your senses and inspire your creativity. Your relationship to food is now closer than ever. The SproutsIO system ensures that you are always growing. SproutsIO utilizes machine learning technology and proprietary growing profiles to optimize for the seeds you choose and care for your plants automatically. Software services enable you to participate in the growing process. The SproutsIOGrow mobile app keeps you connected to your garden from anywhere through intuitive controls, real-time sensor reports, and camera feed. Holistic growing system designed for rapid cultivation, dishwasher-safe maintenance, and resource efficiency. Delivered on-demand including everything you need to grow – seeds, media, and nutrients. Mobile application enabling real-time control of every SproutsIO device in your garden. Setting up your SproutsIO takes about five minutes. Simply scan your sIO, add water, and you are already growing. With SproutsIO anyone can experience the pleasures of gardening. Regardless of your experience, climate, or schedule, you can enjoy Personal Produce™. 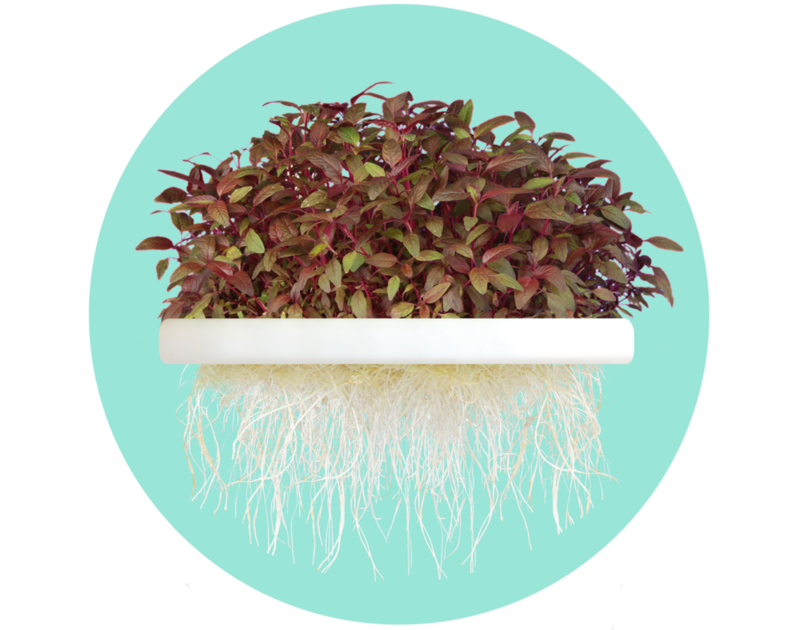 SproutsIO is thoughtfully designed for rapid cultivation, easy maintenance, and resource efficiency. No green thumb required – just water and WiFi. By utilizing hybrid hydroculture technology and machine learning software, SproutsIO cultivates Personal Produce™ – fruits and vegetables grown to your taste. SproutsIO can scale to any need. Whether you live in an urban apartment or run a world-class restaurant kitchen, you can enjoy the benefits of an intelligent indoor garden that’s always growing. Our system is chef-tested in the world’s leading restaurants. Through our Tastemaker Program, we partner award-winning chefs with our category-defining growing technology to explore the culinary possibilities of Personal Produce™.